The Green Army have announced that they are running transport for the FA Cup game against Nantwich. 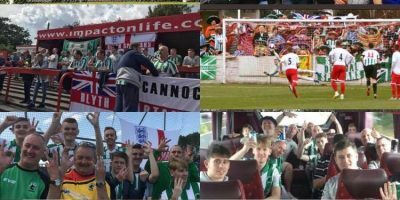 The details are as follows: Event: Nantwich v Blyth Spartans Date: Saturday 22nd September Departure time from Blyth: 9:00am Departure point: The Wallaw Returning time: 5:00pm Cost: £15 Should you be interested in travelling away to support the Spartans, please visit https://www.facebook.com/blythsgreenarmy/ or see Dan Rolls, Michael Soulsby, Dan Haldane or Lewis Parker on a matchday. Following the announcement that the match has been rescheduled, the Green Army have announced that they are running transport for Blyth Spartans’ trip to take on Salford at Moor Lane. 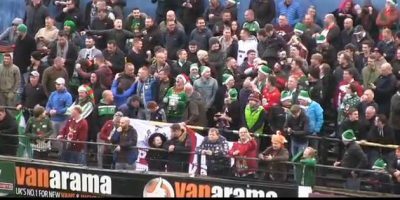 The details are as follows: Event: Salford v Blyth Spartans Date: Tuesday 27th March Departure time from Blyth: 2:30pm Departure point: The Wallaw Returning time: 10:00pm Cost: £15 Should you be interested in travelling away to support the Spartans, please email blythsgreenarmy@outlook.com. The Green Army have announced that they are running transport for Blyth Spartans’ trip to take on Darlington at Blackwell Meadows. 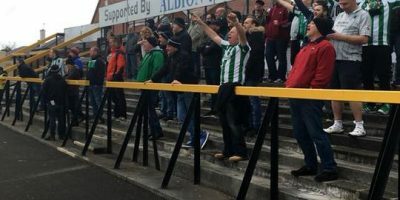 The details are as follows: Event: Darlington v Blyth Spartans Date: Saturday 3rd February Departure time from Blyth: 12:30pm Departure point: The Wallaw Returning time: 5:00pm Cost: £10 Should you be interested in travelling away to support the Spartans, please email blythsgreenarmy@outlook.com. 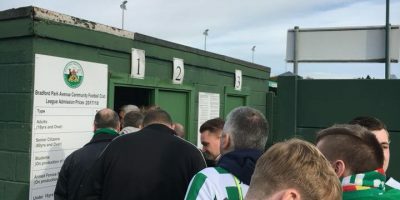 The Green Army have announced that they are running transport for Blyth Spartans’ trip to take on Southport at Haig Avenue. 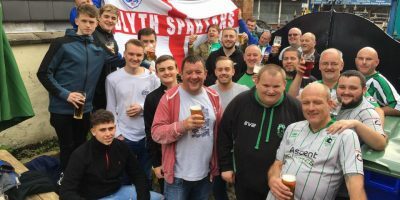 The details are as follows: Event: Southport v Blyth Spartans Date: Saturday 18th November Departure time from Blyth: 8:30am Departure point: The Wallaw Returning time: 5:00pm Cost: £20 Should you be interested in travelling away to support the Spartans, please email blythsgreenarmy@outlook.com.